Even a short vacation can be filled with endless possibilities in Indiana’s Cool North. Set your course for our welcoming region, where options for weekend getaways truly abound. Northern Indiana is so easily accessible, compact and inter-connected that you might shop for Amish quilts and treasures in the morning, hit the Lake Michigan beach or climb an Indiana Dune in the afternoon, and still have plenty of time to see a showstopping Broadway musical in the evening. Whether you’re an outdoor enthusiast, shopper in search of unique finds, or just someone dreaming of leaving the everyday world behind, a perfect vacation destination awaits. Check out the attractions and activities below that our visitors especially love. Then head for Indiana’s Cool North and make some lifelong memories during your best weekend escape ever. To make your getaway even easier, we’ve created weekend itineraries that feature the best of Indiana’s Cool North. These guides, found in our Weekend Escape Series, offer day-to-day, morning-to-night suggestions for terrific things to do and places to visit along with plenty of spot-on options for dining and lodgings. A backdrop of lofty sand dunes frames the southern tip of Lake Michigan creating one of the nation’s best-loved treasures – the Indiana Dunes National Park. Soft sand beaches and clear waters draw visitors to this 15-mile stretch of coastline for lazy days of swimming, sunning, and strolling. Hike the dunes and trails near the shore or head inland through woodlands and wetlands, a haven for birdwatchers intent on spotting some of the 350 species that live here or migrate through. 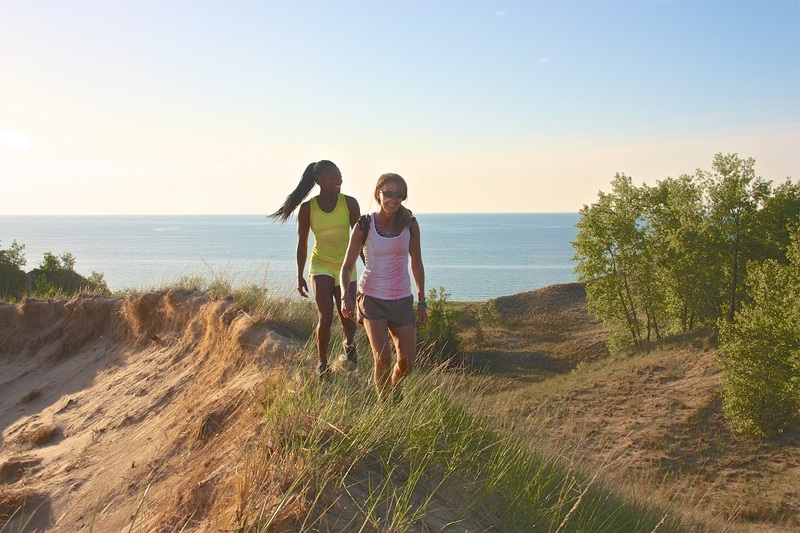 Test your stamina on the “3 Dune Challenge,” climbing the Indiana Dunes State Park’s three tallest dunes. Michigan City serves as an unofficial gateway to the national lakeshore, and the community’s Washington Park features a primo beach and shady grounds. The park is right next door to two popular attractions – the Washington Park Zoo and the Lubeznik Center for the Arts. If you’ve dreamed of reeling in a prize catch, Lake Michigan fishing charters head out on excursions to fish for Coho salmon and more. Say the word “Amish” and images of horse-drawn buggies, hand-stitched quilts, and bountiful food come to mind. Northern Indiana is home to the second largest Amish population in the U.S., and Amish creativity flourishes in small communities and along quiet back roads where “shingle shops” (small businesses marked by simple signs or “shingles”) grace proud Amish farmsteads. You’ll find all the creations the Amish are known for, including those intricate quilts, fine furniture, clocks, and fresh-from-the-oven pies and breads. Shopping, history, and great Amish food combine in three local communities. Browse stores large and small in Shipshewana and Middlebury, where the Amish come to shop and work, arriving in buggies or on bicycles. The Menno-Hof Interpretive Center in Shipshewana details Amish and Mennonite history through life-size dioramas and lively exhibits, while the Amish Acres Historic Farm & Heritage Resort features tours of the only Amish Farm listed on the National Historic Register of Historic Places. 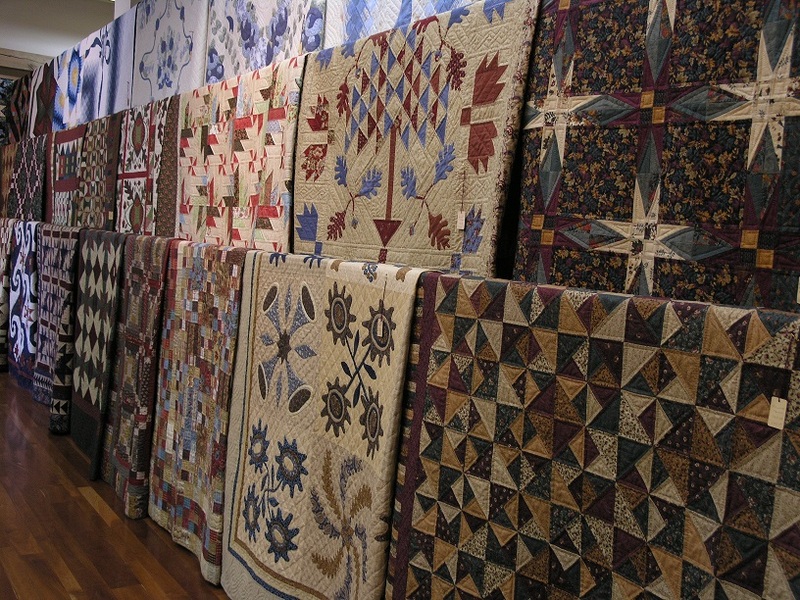 In nearby Marshall County, don’t miss driving the Marshall County Barn Quilt Trail where more than 70 barns display huge painted quilt patterns. 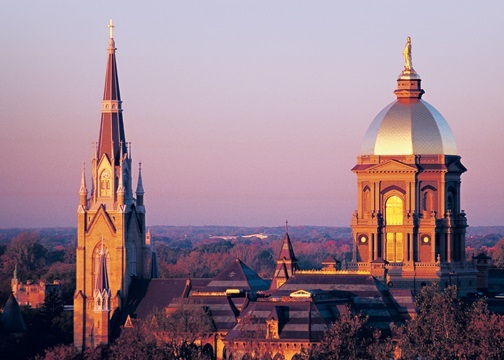 The legendary University of Notre Dame campus in South Bend is known for its amazing architecture as well as its beloved Fighting Irish. Take a walking tour of the campus, and peruse world-class art at the Snite Museum of Art. You’ll be astounded by the shopping finds at the Hammes Bookstore. Pioneer roots run deep in South Bend, and The History Museum traces them in a complex that includes a 38-room mansion and a1930s immigrant worker’s home. The Kidsfirst Children’s Museum gives youngsters a peek at pioneer living. Right next door, the stunning Studebaker National Museum showcases shiny vintage cars. The city is known for fabulously delicious creations from the South Bend Chocolate Company, and you can tour the factory and load up on sweet treats. Get your heart pumping on the city’s unique East Race Waterway, a white-water rafting course right downtown. The Indiana Dunes National Lakeshore brought you plenty of Lake Michigan-related activity, but there’s a whole other world of outdoor fun in store across Indiana’s Cool North. 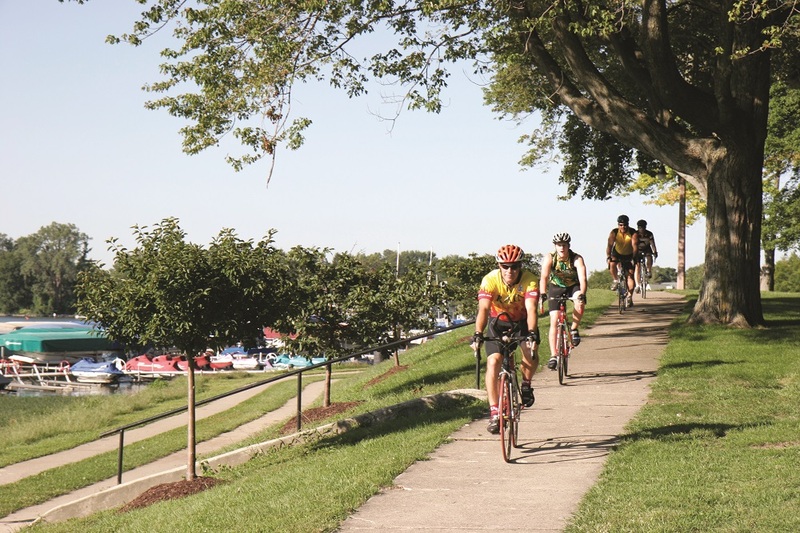 For bicyclists, a host of trails, ranging from easy to challenging, make Northern Indiana a quick escape for a biking adventure. And the scenery along the way is breathtaking to boot! For example, the Pumpkinvine Trail traverses the Amish countryside, and other trails circle Winona Lake and Lake Maxinkuckee. Golfers find tantalizing tee-offs at top courses in Plymouth and Culver. Clear, gentle rivers such as the Pigeon near Mongo draw kayakers and canoers for easy-going paddles that often include wildlife sightings. If walking is your pleasure, the RiverWalk in Elkhart passes parks, trendy shops and restaurants and is close to another great strolling spot – Wellfield Botanic Gardens. Shopping still ranks as the top vacation “must-do” activity in numerous travel surveys, and Indiana’s Cool North offers just about anything that might be on your ultimate wish list. Northern Indiana is well-known for Amish creations, but numerous other artists and entrepreneurs have found their niche here too. In Kosciusko County on the eastern edge of Indiana’s Cool North, The Village at Winona along the Winona Lake shore features galleries, studios, shops and trendy restaurants that fill charmingly restored workmen’s homes. Nearby, The Warsaw Cut Glass Company features its famous hand-cut crystal. Antiques shops pop up throughout the area, with the communities of Pierceton and LaPorte known as havens for antique and art lovers alike. Explore trendy art studios and specialty shops throughout the area, where you’ll find everything from dreamy Northern Indiana landscapes to beach glass jewelry to pottery, and you’ll often get the chance to chat with the artists themselves. Close to the shores of Lake Michigan you can do your outlet shopping at the Lighthouse Place Premium Outlets in Michigan City, or prepare for your outdoor adventure at the Bass Pro Shop in Portage. Let Indiana’s Cool North entertain you! 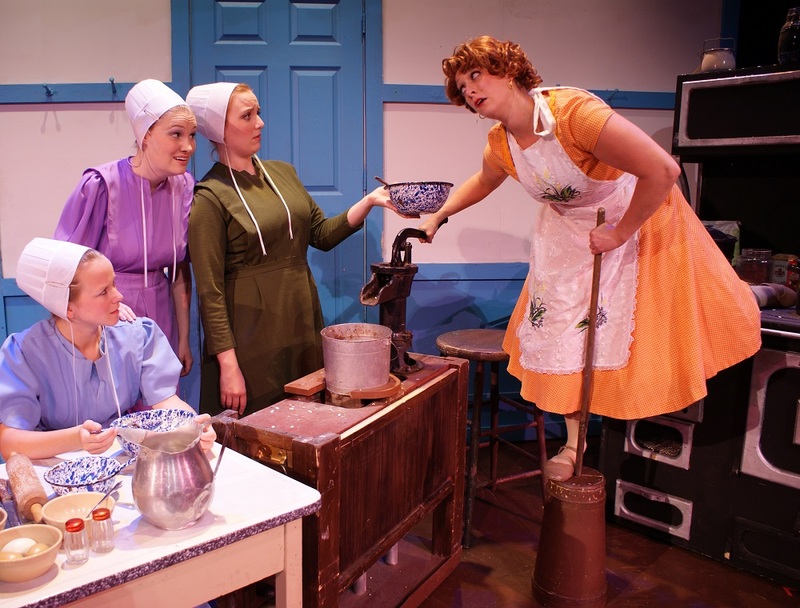 And we mean with fabulous shows that have made their mark on Broadway, top musical entertainers, and, in addition, touching stage performances that put you even more in touch with fascinating Amish culture. You can top off a weekend of lakeside or shopping pleasures with a top-notch show or build a whole trip around theatrical performances. You might be surprised to know that two Amish communities also feature top-notch theaters. In Shipshewana, the Blue Gate Theatre and Shipshewana Event Center offer both popular Broadway musicals and well-known musical performers. A resident company at the Round Barn Theatre at Amish Acres in Nappanee also performs Broadway hits. Both theaters also stage musicals that tell the Amish story. Elsewhere, the award-winning Wagon Wheel Center for the Arts in Warsaw features Broadway-quality theatrical productions in an intimate theater-in-the-round setting, and the Morris Performing Arts Center, the largest historic theater in the region, in South Bend, presents Broadway touring shows, concerts, and symphony. It’s a rule of thumb for visitors to fertile Northern Indiana – don’t leave home without your cooler! That’s because there’s no better way to spend a Saturday morning than stocking up on the homegrown goods at farmers markets large and small throughout Indiana’s Cool North. Or to pick your own berries or apples any time at U-pick farms and orchards such as Blueberries of Indiana or Garwood Orchards in LaPorte. Even if you didn’t bring that cooler along, you’re in for hours of entertainment at the Chesterton European Market, where you might swear you’re on the Continent as you sample artisan breads or pastries accompanied by, perhaps, an espresso, and listen to music. More than 100 booths overflow with everything from produce to paintings. Michigan City’s weekly Farmers Market features a host of produce and some more surprising finds too. To meet Amish farmers and buy their produce, baked goods, quilts and creations, head for farmers markets in LaGrange and Howe, just six miles apart. There’s nothing that matches that perfect day (or weekend!) at the lake, and Indiana’s Cool North is home to dozens of inland lakes that promise carefree days of swimming, fishing, boating, sailing, and just relaxing. Lake Wawasee near the Indiana town of Syracuse, reigns as the state’s largest natural lake, with Lake Maxinkuckee, affectionately known as “Lake Max,” the second largest. The town of Culver, often called “The Cape Cod of the Midwest,” hugs the Lake Max shoreline and boasts a public beach. In addition to Lake Wawasee, the Syracuse area in Kosciusko County is home to numerous other lakes, including Syracuse Lake and Webster Lake. 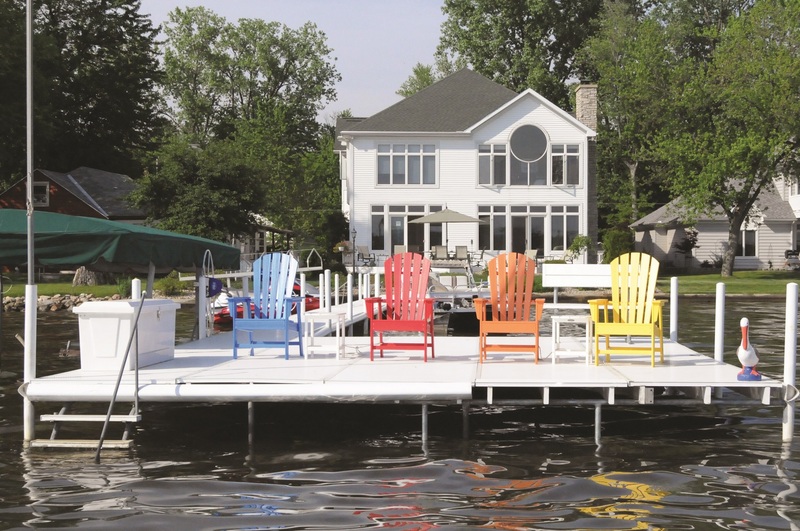 In all these lake areas, several marinas offer boat and other watercraft rentals, and family-friendly resorts give plenty of options for short and long stays. Fishing rules throughout Indiana’s Cool North, where you can expect to pull in bluegill, perch, pike, muskie and more.